A gay Saudi Arabian diplomat is seeking asylum in the US because he says he will be killed if returned to his home country. The man, who has been named as Ali Ahmad Asseri, says his homosexuality and his friendship with a Jewish woman will lead to his death. Mr Asseri, who was the first secretary of the Saudi consulate in Los Angeles, said he lost his job when Saudi officials refused to renew his passport after they discovered his sexual orientation and friendship with the woman. He told NBC News: "My life is in a great danger here and if I go back to Saudi Arabia, they will kill me openly in broad daylight." According to the station, Mr Asseri criticised his home country for being "backward" on a Saudi website and attacked "militant imams" who have "defaced the tolerance of Islam". He has also reportedly threatened to publicise embarrassing information about Saudi royal family members living in the US. 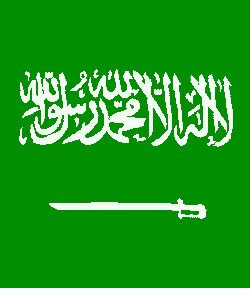 Homosexuality is illegal in Saudi Arabia and can be punished with the death penalty. It is believed that no executions for homosexuality have been carried out in the country since 2002, although there have been reports of prison sentences and flogging for men arrested at gay parties or for "behaving like women".